They say that a beautiful face lacks the tenderness of the heart. Since such talk has been alive since eons, there might be some truth to it, and I am no entity really to challenge its validity, though my experience has found the contrary to this belief. In accidental cases such a maxim might be applicable, and that is simply because one gets rather accustomed to being lauded for one’s appearance and when one is not bathed in such accolades, it begins to affect the psyche leading then to terrible low self-esteem. So in extreme cases such as these, an entire lack of kindness, stemming clearly from a deep sense of missing that acknowledgment, methinks, might have triggered such a notion to flourish in the society. 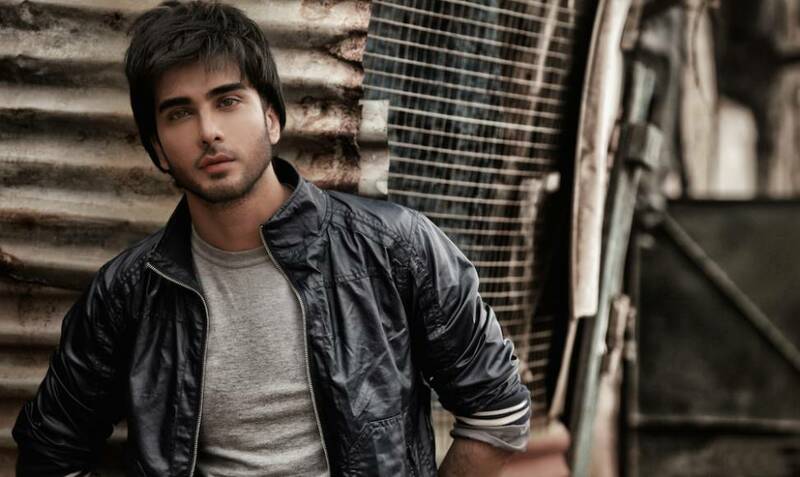 However, there are exceptions to every rule, and one such dazzling exception is my brother from Lahore, Imran Abbas, whom I fondly call Eemuuu (mouth that with dollops of love and emotion) because that is the affection he stirs up in you by being him. As you can fathom from the drift, I could go on forever about Eemuuu, but I shall refrain from doing so and post instead something he posted most recently on his Facebook wall letting you decide whether beautiful faces do really lack the tenderness of the heart. Will you please post this message in the known groups so that it gets circulated to as many people as possible? Thank you. This is the season of fruits like mango, jamun (black plum), jackfruit etcetera. My request to all of us is kindly don't throw the seeds, wash them instead and keep them in a plastic pouch in your car. Whenever you go out travelling and find any barren land, especially on a highway, do throw these seeds around. They will germinate easily the coming monsoon. If with this act we can contribute even a single tree each to our world, our mission would be most successful. This is not just a random idea – it was initiated decades ago. Many other districts have appealed to people to spread abundance in nature this way, and many citizens have joined this wonderful mission. It would be wonderful if all of us also join this and contribute back to our next generation, to this world in general. Bear in mind that it is not the surface splendour that is significant, but what we contain inside our soul, and what we contain inside our soul is most revealed in what we like, because what we like is what we are, and what we are is what our soul is made up of. So people, let light into your lives today and let its luminescence consume you, and when it does, do thank those who evoke such an emotion in you: in this instance my dear brother Eemuu.